To facilitate the patients to keep them active and relaxed; it is a CNA’s duty to assist the patient in performing passive range of motion workouts. These regular motion exercises aid the patient to stay away from the problems, like joint hardening, etc. These workouts also demonstrate a positive result by showing patient’s faster recovery from illness. Most of the times, it is suggested that the ailing persons should conduct these exercises at the time of doing other tasks such as, dressing up, bathing etc. Before, commencing the passive range of motion exercises on the client, you need to cleanse your hands thoroughly. Knock at the patient’s room and seek permission. Try to get in the face to face contact with the patient. Maintain a smile at the time of interacting with the client. Explain the patient in a clear voice that you are here to provide some support to the patient in performing some regular workouts and check his passive range of motions. Prior to starting the motion exercises, make sure that the client is not suffering from injuries associated with spinal cord or neck. Ensure that the patient must not have any red marks, swellings or pain in the joints. Pull the curtains to restrict the outside vision to maintain the privacy of the client. Always, put the bed rails on the sides of the patient bed before checking the motion exercises. In case of the patients, who cannot rise from the bed, you need to take care that these workouts should not be performed more than three to four times a day. These exercises ensure the mobility of the joints of the patient’s body. When a patient complains about the pains while moving the joints or stiffness in the joints, at that time being a nursing assistant, it’s your responsibility to inform the nurse in charge immediately. This might be a symptom of contractures. Always, be aware at the time of helping the patient to execute these exercises to notice that the patient should not have any inflammation area in the joints. To begin with, you need to adjust the bed level of the patient, where you will easily get to the client’s body without any difficulty. For this, you can raise the head side of the client’s bed. Start with the patient’s head by asking him/her to make head movements from left to the right direction slowly. Now let the patient do the head exercise by nodding the head in up and downwards positions. Make sure, the patient does all these exercises in not more than 3 to 10 motions, in a day. Now, check the passive range of motion of patient’s arm. You may also ask the patient to do the exercise personally. Extend the client’s arms softly and hold it at the elbow by keeping it straight on the bed. While doing this assist the patient to bring his/her arms straight towards the body (sideways) and then, take it away from the body. Now, ask him/her do this exercise in up and down directions. Do the body motions, only number of times are prescribed by the doctor. Afterwards, ask the client to loosen up his wrists and make movements of the fingers. After the head exercises, you also have to check the knees of the client. Start it by keeping both of the knees of the patient in straight. Ask him/her to loosen up the legs. Now, ask him to carry the legs near the center of the body and again take it farther. Conduct this activity not more than 10 motions, after seeking permission by the doctor. Suggest the patient to expand the feet at ankles and loosen up. Also, tell the client to twirl and move the toes. The High-Fowler Position: – Under this position, you have to keep one side (i.e. The side of the head) of the bed elevated in the range of 60 to 90 degrees. The patient’s head should be supported by the elevated side of the mattress. Check that the bed should not be elevated more than 90 degrees. In this position, the patient has to be positioned on the bed on his/her back with keeping the face in the upward direction and arms stretched on both sides. This position is similar to the high-fowler position with head-side of the bed elevated but not up to 60 or 90 degrees. After laying down the patient on the bed; the head-side of the patient bed should not be raised more than 45 degrees. Under this position, you have to roll the patient to one side by keeping the legs straight. You can also provide pillows or cushions to patients for proper support and comfort. However, while sleeping this way the patients can bend their legs, if they would want. The patient is turned to one side of the bed by kept the leg in flexed form and little raised up with the help of a soft cushion or a pillow. The arm and the leg, which is on the top are positioned a bit elevated. What does the auditor examine when you present this Skill in the CNA skill test? 1. How do you commence this task? Tip- Make sure, you do all the vital steps required to conduct in the beginning. 2. What are the movements you have shown in the range of motions exercises? Tip- The range of motion exercises include: Extension & Flexion, Adduction & Abduction, Supination & Pronation, Opposition, External Or Internal Rotation, Plantar Flexion & Dorsal, and Ulnar Deviation Or Radial Deviation. 3. Do you support the crucial joint areas of the patient body? Tip- You must provide proper support to the joint or the proximal and distal ends of the extremities. 4. Do you observe the patient reaction, while conducting this activity or not? Tip- You must observe that the patient should not feel discomfort or any pain during the process. 5. What do you do after noticing the pains or any resistance in the patient’s body? 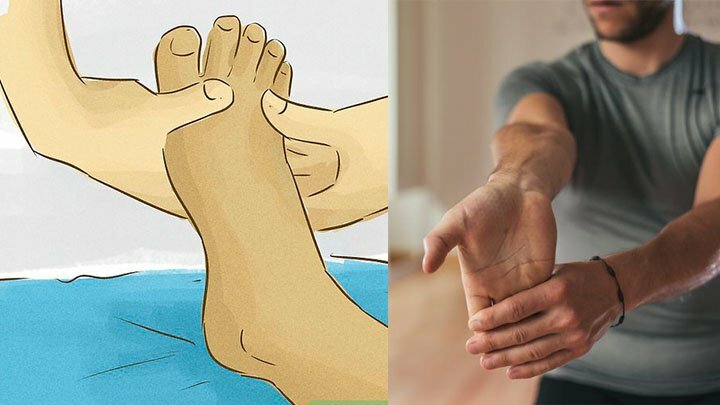 Tip- After noticing any such symptoms or pains in patient, you must explain or demonstrate the reason and significance of not making any body movements during the process. 6. Have you ended the process accurately? Tip- It is an essential part to conduct the steps properly in the end, as well. It is a CNA’s job to make sure that the patient should not have any discomfort, while performing these exercises. In case, if you notice any such problem, you must inform the supervisor nurse immediately. We have provided the video given to direct you the stepwise procedure to perform during the skill examination.